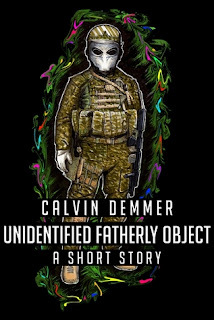 Unidentified Fatherly Object is the latest tale in Calvin Demmer's extraordinary Dark Celebrations series; Prom Screams, She Will Rise, Hungry Ghosts, Labor Day Hunt, Thanks Sinning, Trick or Death, Three Dead Men Happy Dark Year and Spring Outbreak. They are all available on Amazon for less than a pound or dollar depending where you live! 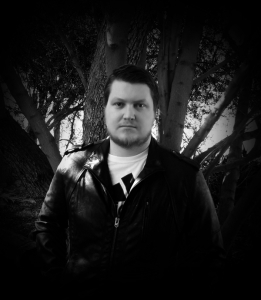 In the 11th instalment of this epic Dark Celebrations Series we meet Fred Garcia a young man in the throes of bereavement but what he needs most are answers. His father passed away in mysterious circumstances, an accident at work in a top secret military bunker. His aunt and uncle tell him to leave it alone, to accept what has happened and move on with his life, surely that's what his father would have wanted for him? But Fred just can't let things lie, he has to know, he has suspicions that just won't go away. One night he decides to go out into the desert and see for himself the strictly prohibited area in which his father died. Will he find his answers? Will he be able to handle the truth? 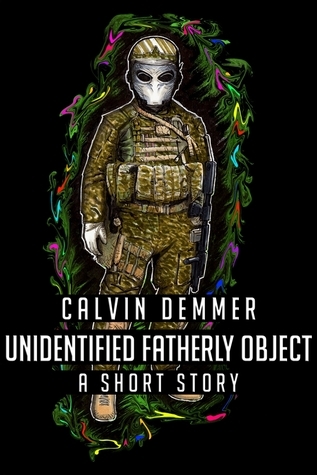 Another great story from Calvin Demmer. I don't want to give too much away but the ending is particularly gruesome. Calvin has a unique ability to make his readers squirm with dread. I'm so happy I'm not one of his characters! There's a some very clever references to his past tales included within which I thought was a great touch. I really enjoyed reading Unidentified Fatherly Object and can't wait for the next instalment of the Dark Celebrations series.